Suddenly, your world may appear upside down, literally. The computer screen or the monitor display could be turned upside down, or flipped in orientation. 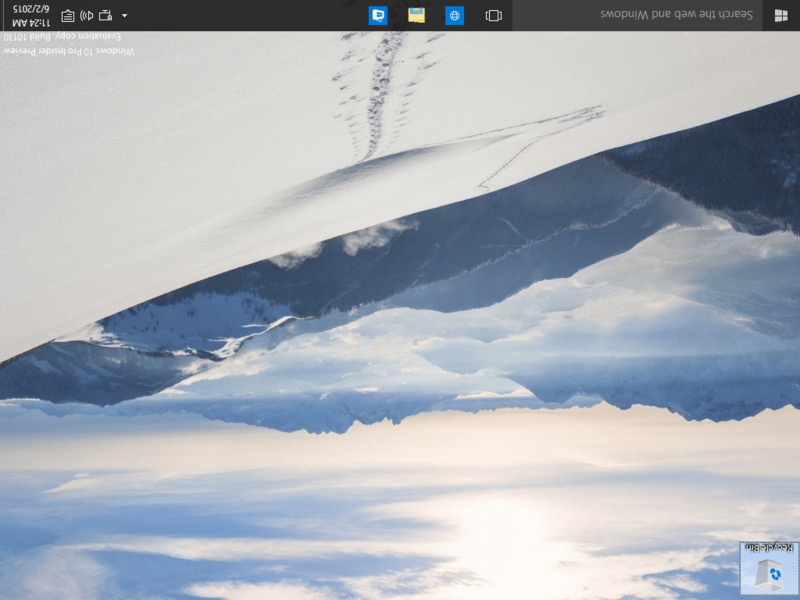 The change in orientation can be done via display settings in Control Panel or Settings app (in Windows 10 or later) and via keyboard shortcut. Most of the time, flipped landscape or portrait orientation could be activated accidentally through keyboard shortcut, such as when children plays with the computer, and send users into panic mode. But the screen orientation could be reverted back to normal easily. Press Ctrl + Alt + Up arrow or Down arrow (or the navigation keys) simultaneously to change the orientation of the display and rotate the screen until it’s back to normal position. On some brands of PC (if the above doesn’t work), try the Ctrl + Shirt + R keyboard shortcut instead. 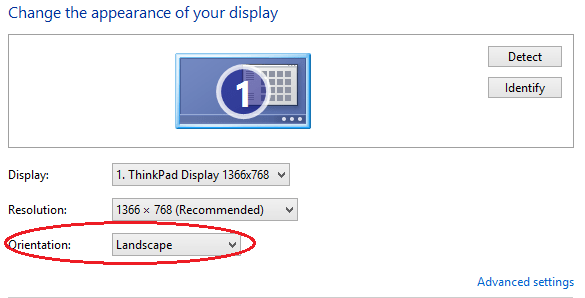 Select Screen resolution or Display settings (in Windows 10 or later), and select Orientation or Portrait from the Orientation drop-down box.